Sergei Lazarev performs at a concert by Concert by MUZ-TV 2015 Awards nominees and winners at Grand Kremlin Palace. 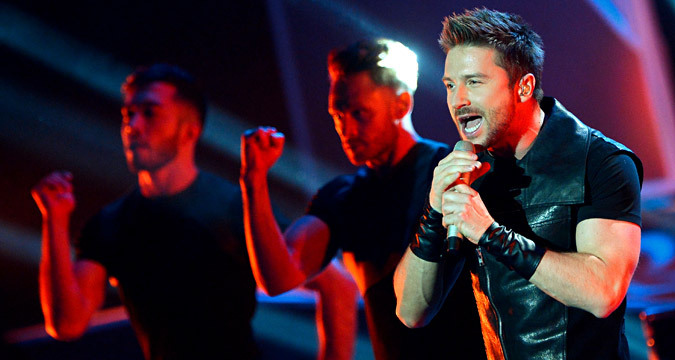 Russian singer Sergei Lazarev has announced that he will represent Russia at the Eurovision 2016 song contest.
" Dear friends!! I am really happy and honored to represent my country at the Eurovision Song Contest 2016! , which will take place in May in Sweden," wrote the singer on his Instagram blog. Lazarev hopes that it will be an "exciting experience" and that everyone, like he himself, will love the song he will sing in Stockholm. Sergei Lazarev is one of the most popular pop singers in Russia. On Dec. 10 he was recognized as "best performer" by the Russian National Musical Awards.